Virginia spent an entire semester in Granada as part of the Erasmus student exchange program. She's traveled to many places in Spain. 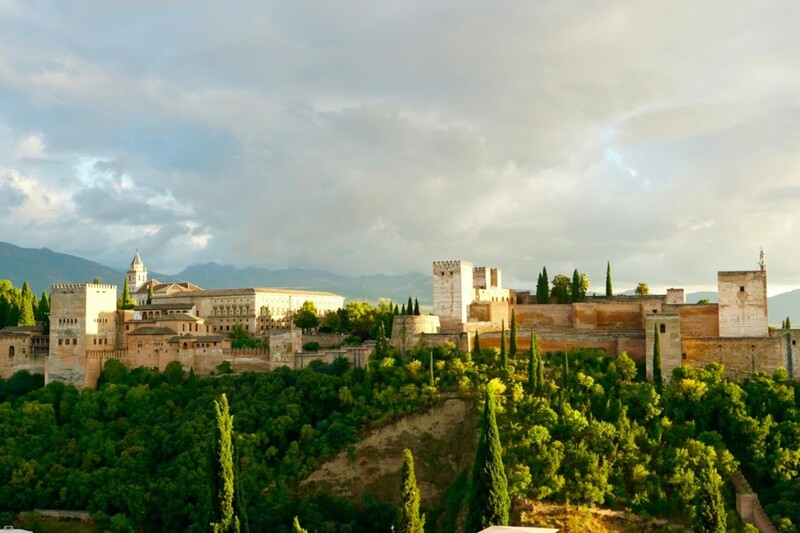 Granada is a fascinating place where Spanish and Arab cultures meet. From frequenting flamenco shows to visiting the Alhambra to walking the narrow streets of the Albayzín, Granada has a lot to offer. 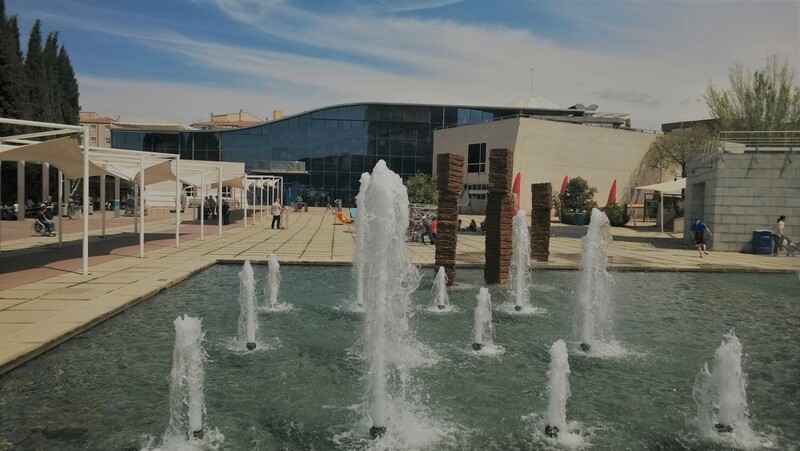 And if you’re staying for longer, Granada, with its low prices, can be the perfect headquarters for making short trips to other parts of Andalusia. Cordoba is a small city and it takes 2:30 hours to get there from Granada by bus. 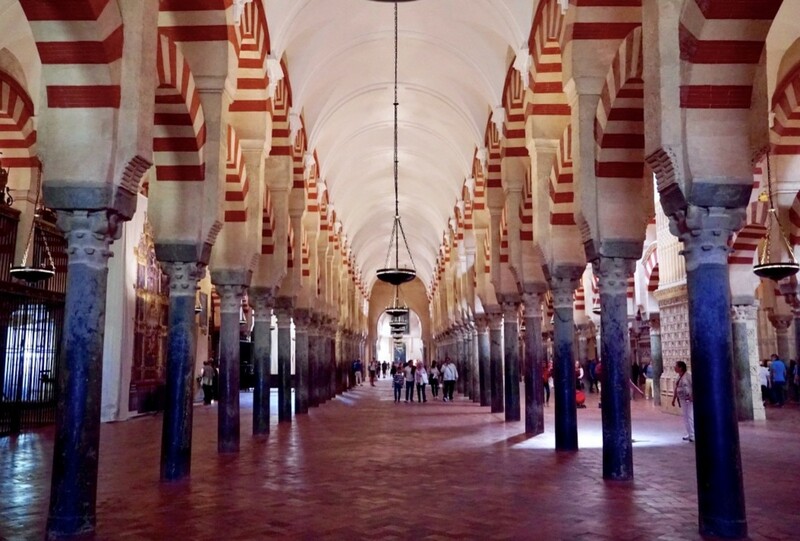 Cordoba is especially famous for its Mosque-Cathedral. Other highlights include the Alcázar de los Reyes Cristianos (which is worse than the one is Seville but still worth a visit if you have enough time), the Synagogue in the Jewish Quarter and the Roman bridge. You can also come across remains of Roman architecture, such as the Roman Temple, the Theatre, or the Mausoleum. 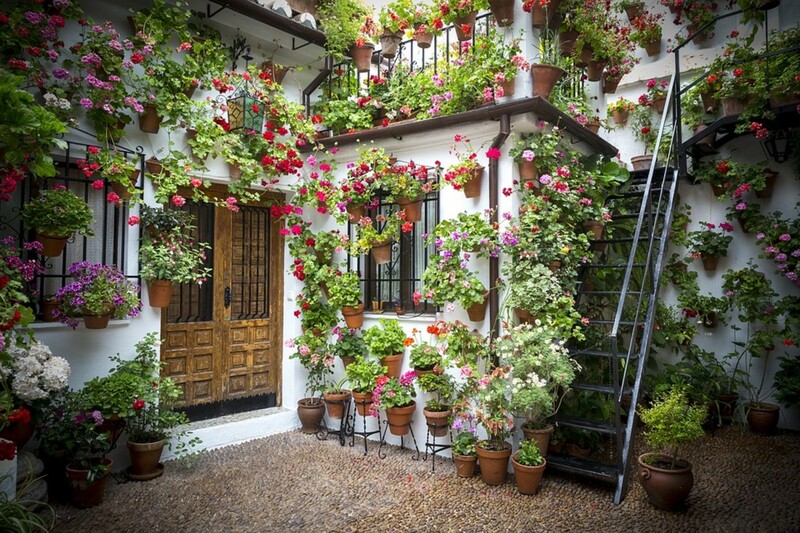 One day in Cordoba should be enough unless you enjoy staying in places for longer. If you happen to visit Cordoba in May, check if the Courtyards Festivals of Cordoba takes place when you’re there (it usually lasts two weeks). During this time, homeowners make their courtyards available to the public. Entrance is usually free, but be prepared to wait in queues—Cordoba’s courtyards can fit in a limited number of people. The festival also features other events, such as concerts or flamenco shows. Be sure to consult the festival program for the year you’re visiting. Visiting Seville in one day is more challenging than visiting Cordoba. Seville is bigger, further away from Granada (3 hours by bus), and has more things to see. If you can, set aside 2-3 days for Seville. However, if your schedule is tight, you can squeeze the best of Seville in one day. The Real Alcázar is a miniature version of the Alhambra with jaw-dropping gardens. You’ll need about 2 hours for the Alcázar, and you could easily spend even more time there. 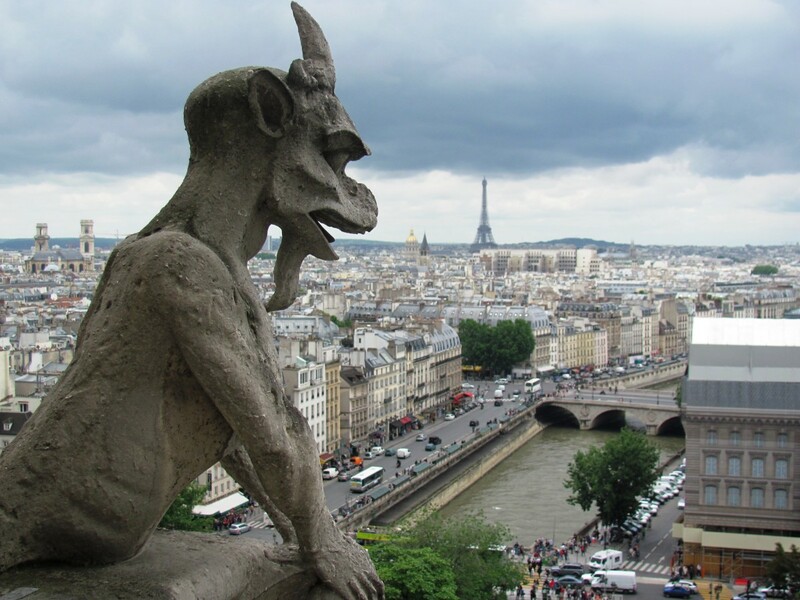 As there are no labels explaining the history of the building, it’s a good idea to go on a guided tour (in Spanish or English) or pay for an audio guide. Queues to the Alcázar may be long in summertime, and buying your ticket online can be a timesaver. 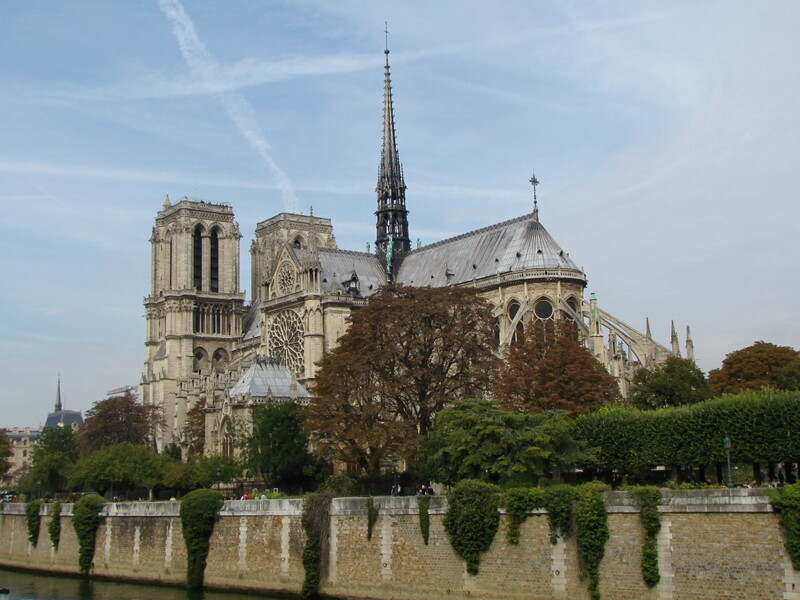 The Cathedral is a beautiful example of Gothic architecture. 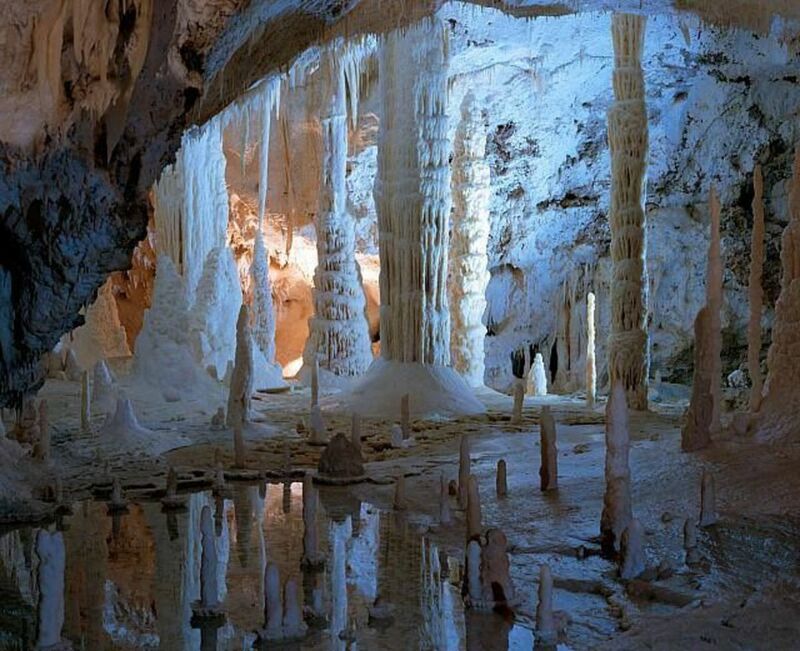 It was declared a World Heritage Site by UNESCO in 1987. Queues can also get long, so you’re best advised to book your ticket in advance. 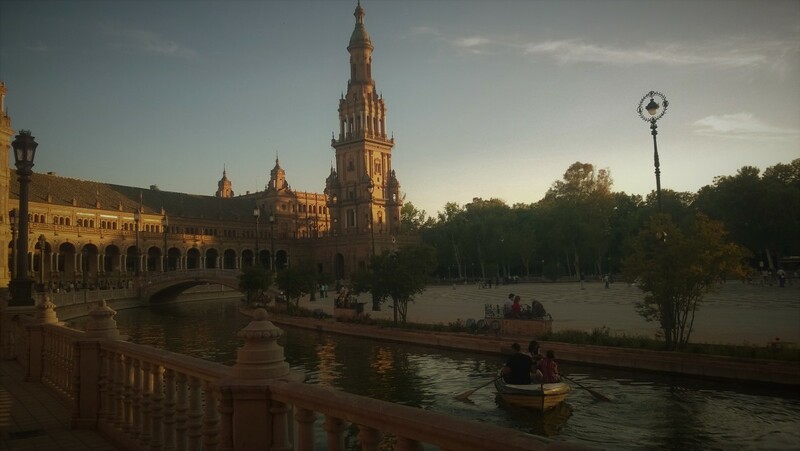 The Plaza de España is probably the most interesting plaza in Spain. 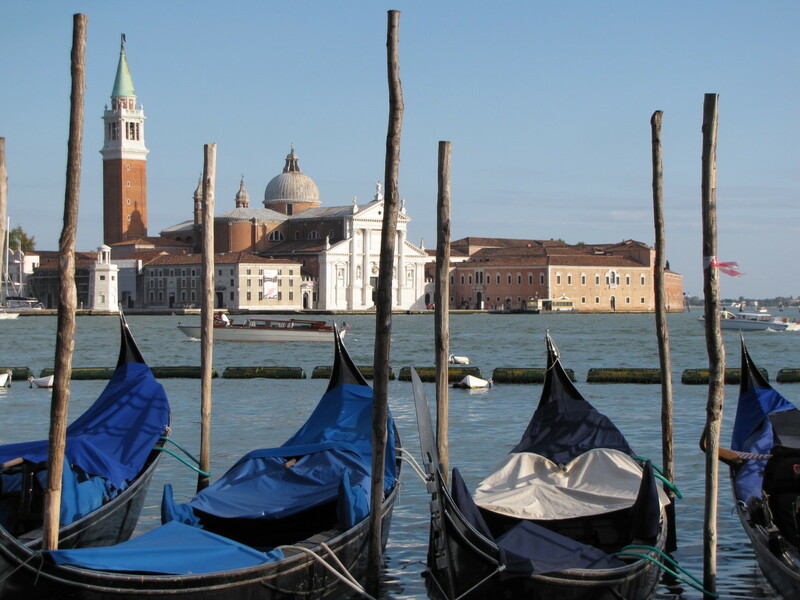 It is an oval-shaped open space with a small river, where you can rent a boat. It’s a perfect spot for relaxing after the whole day of sightseeing. For those who still have time, Seville is full of interesting districts. I especially recommend el Barrio de Santa Cruz (the former Jewish Quarter) and el Barrio de Triana (famous for its ceramic tiles and strong sense of identity). Free entrance on Monday from 18:00 to 19:00 in summertime (April – September) and from 16:00 to 17:00 in wintertime (October – March). If you want to escape from the city, Monachil is the place to go. It is a nearby village surrounded by mountains. You can go there using Granada’s public transport. 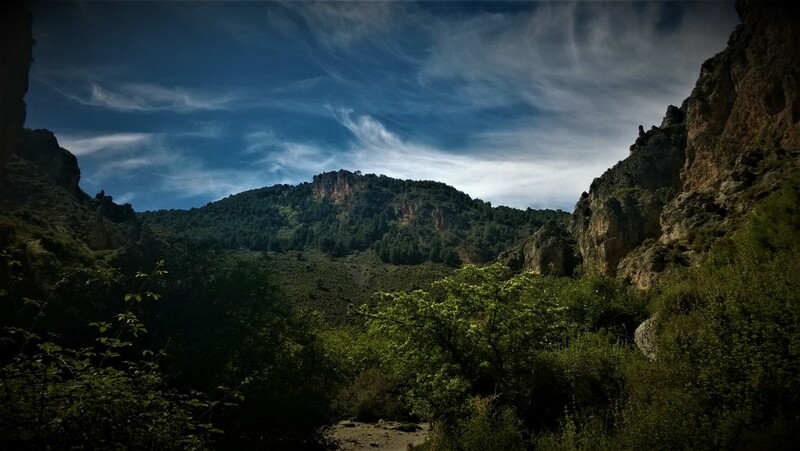 In Monachil, you can follow a beautiful hiking trail called Los Cahorros. It leads along a river and offers a much-needed respite from the heat of Granada. The path doesn’t require much skill nor stamina – I’ve seen many children following it without any trouble. The highlights of the route are four suspension bridges. 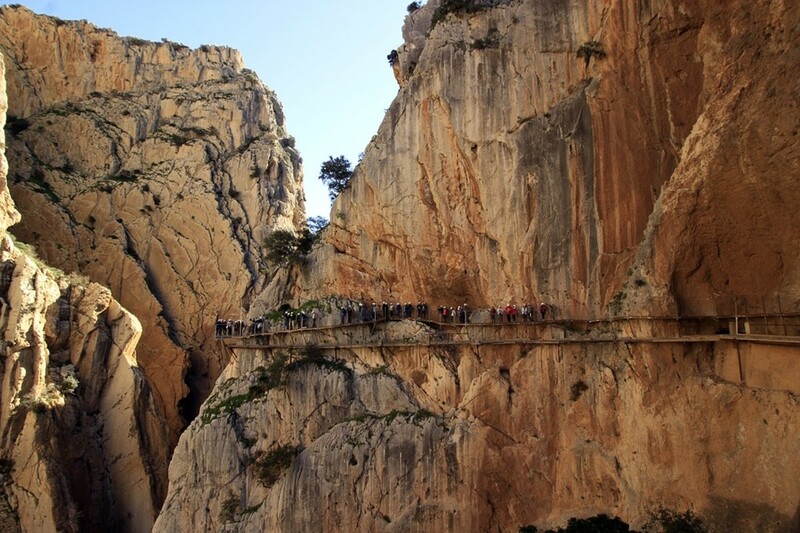 El Caminito del Rey is another option for eager hikers. But whereas Monachil can be recommended to everyone, el Caminito del Rey should only be attempted by people without a fear of heights. El Caminito del Rey earned the reputation of the most dangerous hiking trail in Spain. It was closed in 2000 due to the terrible state the trail was in. The trail was refurbished and opened again in 2015, safe for tourists without much climbing experience. To get to el Caminito del Rey from Granda you can either go by car or by bus to Montefrio (the journey by bus takes about an hour). The hiking route itself takes about 3-4 hours. Take appropriate measures to protect yourself from the sun, as in summer temperatures in Andalusia can reach 40 degrees Celsius. Sometimes it gets even hotter. Also, remember to take food and plenty of water. Ronda is a nearby small town (about 2:30 – 3 hours by train). 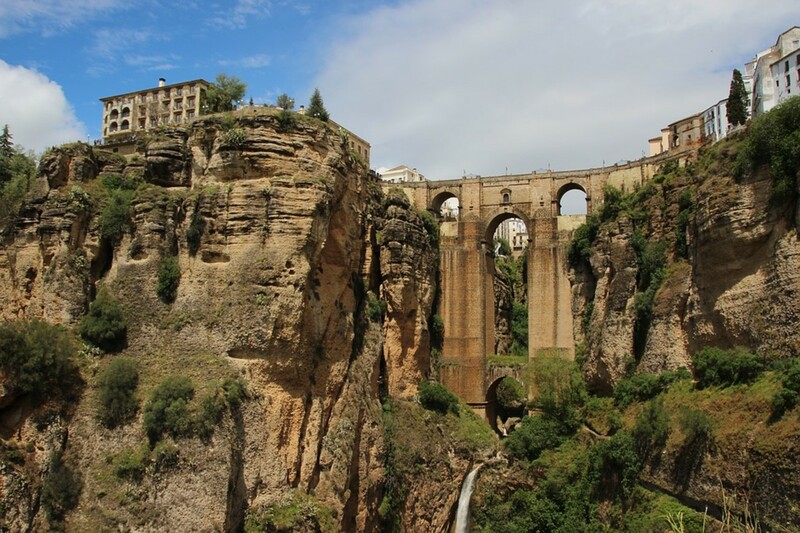 Ronda is a very ancient town with a peculiar landscape—it sits above a deep ravine. Its most famous feature is a picturesque bridge, the Puente Nuevo. It connects two parts of the town, the older Moorish bit and the newer one called el Mercadillo. The bridge offers truly unique views of the Tajo gorge beneath. You can also go down to the gorge to take that iconic photo of the bridge joining the two parts of the rock-seated town. Ronda also has an impressive Plaza de Toros if you are a fan of bullfighting. Its Baños Árabes (Arabic Baths) are one of the best preserved in Spain. Be sure to also visit the Mirador de Aldehuela y Balcón del Coño for some spectacular views and the Jardínes de Cuenca (terraces with plants). 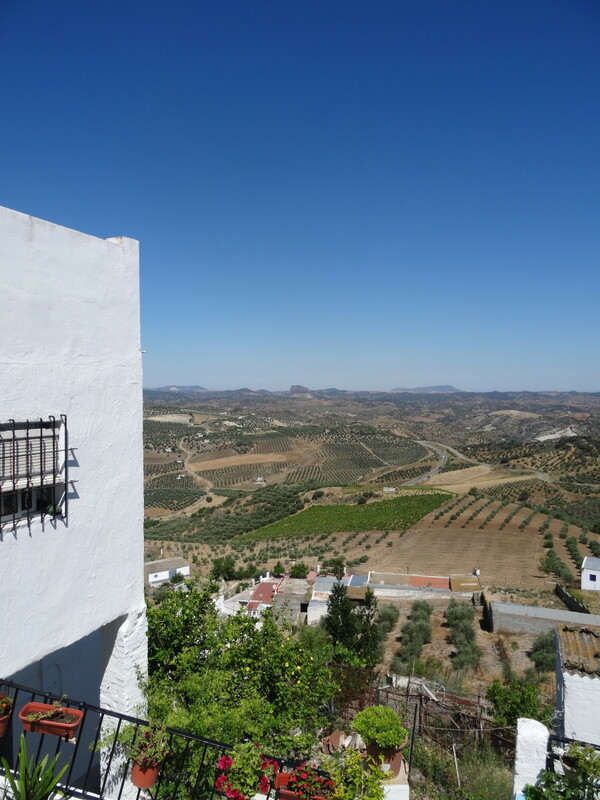 The best thing about Ronda is that you can easily visit it in one day. Very interesting. We had planned a trip to the Andalusia region for later this year but changed our plans to go to Italy instead. We will get to southern Spain eventually so this was very relevant to me. I must say the picture of the El Caminito del Rey looks very intimidating. Thanks for sharing.